Awesome Search and Sort Lot Here! This lot has a lot of value and variety to deliver to you! 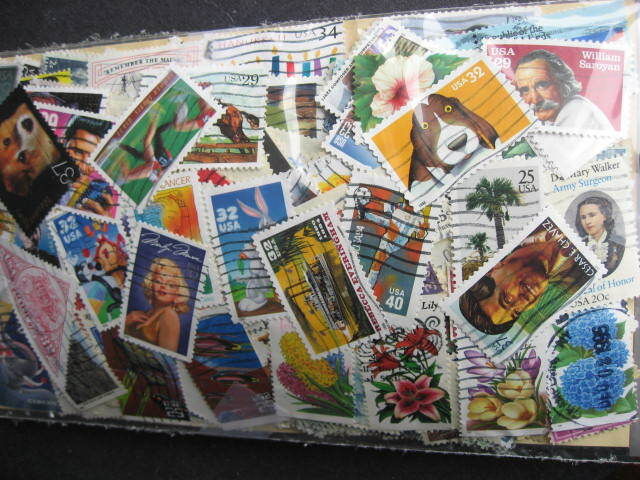 This group consists of about 2,000 (there may be a few more or less) off paper mixed stamps from USA (THERE MAY BE THE ODD STAMP OTHER COUNTRIES THAT HAS SNUCK IN). These come from literally thousands of bags, boxes, envelopes, albums, stockpages etc that come my way! I simply don't have time to sort through bulky stuff so into large boxes they go and when I have a large batch ready they get (carefully) thrown up in the air and mixed up very well! There is everything imaginable here, FROM ANCIENT OLDIES TO MODERN MARVELS, COMMON SMALL DEFINITIVES TO DESIRABLE HIGHVALUE COMMEMORATIVES! BECAUSE THIS IS A MIXTURE, THERE IS DUPLICATION, HEAVIER IN SOME ISSUES! I of course can't tell you for sure what is in this lot because I simply have no idea! As with any bulk mixture you can EXPECT SOME MIXED CONDITION. I've included PICTURES OF HIGHLIGHTS of what is in each of the bags so you can see the kind of value lurking within! Do take time to look at the pictures! 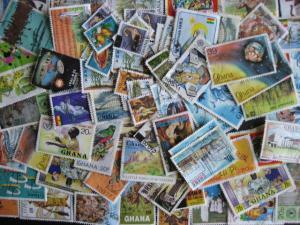 Please note that the stamps you see in the highlights pictures are what you will receive. 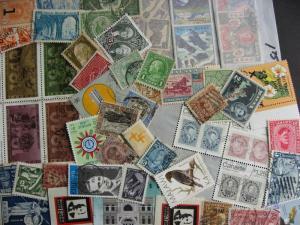 These are actual pictures of highlights of actual stamps in this lot! Don't Forget to Check Out My Other Lots! 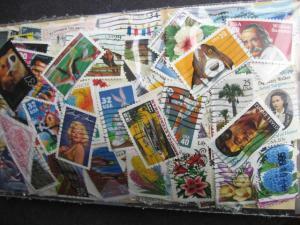 * We try to use interesting stamps on your packages, including modern souvenir sheets; we are stamp collectors after all! * Packaging is done carefully to maximize the likelihood it arrives safely! * Check our feedback for comments from other collectors! * Normal mailing days are Mondays, Wednesdays, Fridays so items are usually mailed within 1 or 2 business days of payment. * If you want your lot(s) registered, please enquire but be advised that this is not always possible and it can be very expensive!! Don't forget to check the interesting and unusual items in my store!! 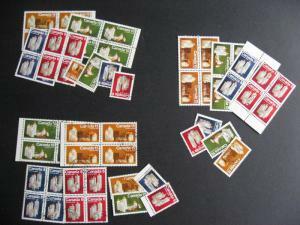 Please contact me if there are any issues with the stamps before returning them. Thank you! Ghana mixture, you don't often see this one, interesting! 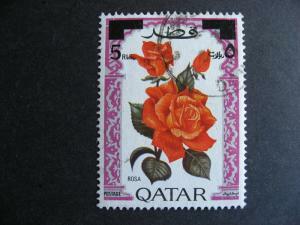 QATAR Sc 289 U rose flowers stamp overprinted, surface marks, check it out!!! WW double size retired $1.75 approvals group.Nice singles,sets remain! Check em!